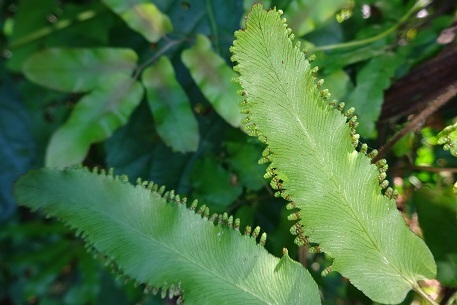 This fern looks very similar to Lygodium flexuosum. 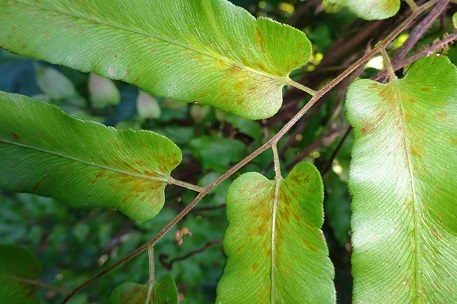 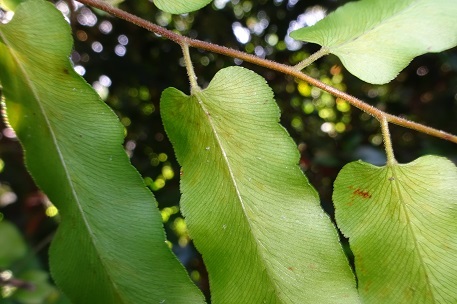 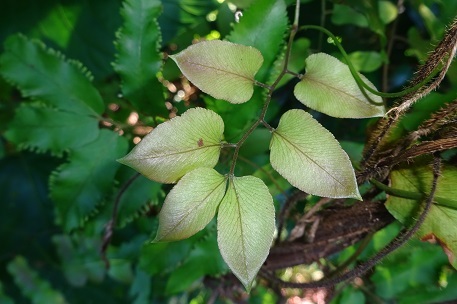 The key difference between the two climbing ferns is the shape of the secondary leaflet at the proximal end (located closest to the short secondary rachis). 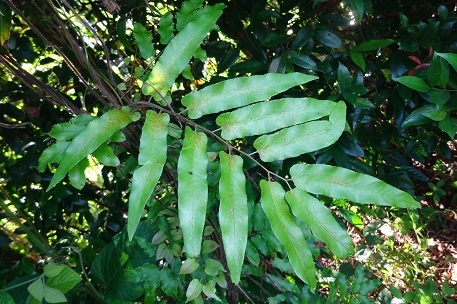 In Lygodium flexuosum, this proximal secondary leaflet is usually trilobed. 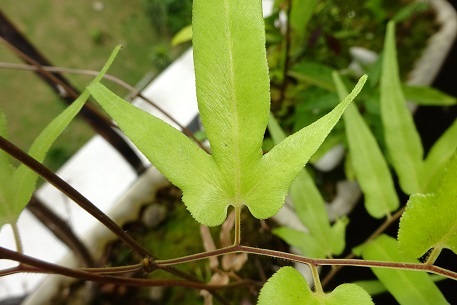 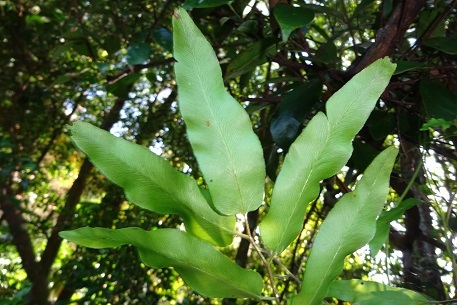 No trilobed feature is seen in Lygodium salicifolium. 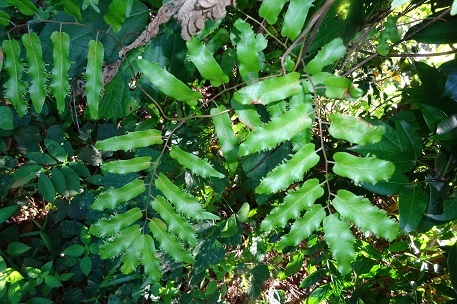 Below is a picture of the trilobed feature	of Lygodium flexuosum.